Bitcoin is an electronic currency just like paypal and mobile money.Except that bitcoin has no chargebacks and it's value is always increasing. Buying bitcoins and waiting for it to mature.For eg)The price of 1 bitcoin 2 years ago was around $200.And now in 2017 it's $1,015. So if you bought bitcoin let's say last year, you would have gotten a whole lot of profit. 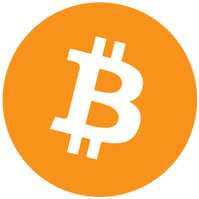 You can also earn some small bitcoins by solving captchas.To try your hands on this go to:freebitcoin. You can earn some few bitcoins every hour with this. Now the ultimate way of earning bitcoin is through cloud mining.With this method you'll deposit some bitcoins into a cloud mining account.And they'll mine the bitcoins from a pool and start it among the members. I'll be giving and in depth tutorial on this. Let's start with the first step to start earning bitcoin through cloud mining. The first step to get started with bitcoin is to create a bitcoin wallet.See the wallet as an account or vault that securely holds all your bitcoins. If you already have one then there is no need to create one again. STEP 2.Like you use numbers in mobile money for sending and receiving money.Bitcoin also has it's own unique way.Any one who has a bitcoin wallet has a unique bitcoin address which is used to send and receive money. To find your bitcoin address. 2.Click tools or accounts on the left panel to view your bitcoin address if you use coinbase.If there is no address click create new address to generate a new one. You can create as many as you want.But I recommend you keep the default one already given. Since you plan to use bitcoin you have to know it's equivalence in USD and Ghana cedi. As at now 1 bitcoin is $1,024 which is 4,320gh. 10gh is equivalent to 0.0022 bitcoin which is also equivalent to $2.1. You can google any amount in Ghana cedi to find it's equivalent in bitcoin and vice versa. I'll type:20 Ghana cedi to bitcoin. Google will display the results for you. Please you must know the USD and Ghana Cedi equivalence of bitcoin. There are several sites where you can buy Bitcoin to fund your wallet.But the most trusted ones are ebitcoinics.com,cofredgh.com and payplux.com.These organizations are called exchangers.You can sell your bitcoin to them to get cash in Ghana cedis via mobile money and you can also buy bitcoins from them. I personally use ebitcoinics. So I'll provide de tutorial for that. NB: Please make sure you know how to copy and paste. 2.After that click the buy now button. 4.Payment method select mobile money. 5.Under amount, you need to enter the amount in USD that will give you the equivalence you can afford in afford in Ghana cedis.The site already has a convertor. Eg)If you enter $3 it'll show 13gh in the Ghana cedi tab.Please I recommend you purchase something between 15gh-20gh or if you're rich enough you can purchase 100gh worth of bitcoins. NB:Please use pc or google chrome,Firefox UC browser or Your androids default browser when buying at ebitcoinics to avoid any complications. 6.Under the bitcoin address copy and paste your bitcoin address from coinbase or blockchain into the space provided. 7.Now you'll see a table with Various mobile money numbers.Choose the network you are on.Click the instructions beside it to see how to pay. Eg)If I'm on mtn I'll send the amount in Ghana Cedi that I require to buy to the mobile money number stated in the instructions. NB:Please make sure it's Taaby Investments or NCIS ebitcoinics . 8.After making payment you'll get a text message on your phone which shows a Ref.Number or Transaction ID. 9.Copy the Ref Number or Transaction ID carefully into the form and enter the amount sent again. 10.Click Submit for them to start processing your request. It takes less than 10 minutes for them to finish. 11.You'll now have the amount you purchased sent to your bitcoin wallet in less than 10 minutes. Now that you have funds in your bitcoin wallet it's now time to start mining. Bear in mind that over 60% of all cloud mining sites are scams.But i've personally reasearched on this one and it's legit and it pays. 1.Visit btclab and click register.Please use only the link above to register.Registering through this link will make me your upline. 2.Fill in your name email,username and fill in your password. 3.Now this is where the bitcoin address comes into use.Login to your coinbase account or blockchain account and copy your bitcoin address and paste in into the box provided at btclab registration page. 4.When everything is done click create your account. 5.A link will be sent to your email for you to verify your account.Go to your email and click the link to complete the verification process. 6.Now go to the btclab homepage and sign in with your username and password. STEP 5. How to deposit and start earning. 1.Login to ur btclab account. 2.On the right panel click deposit. 3.Carefully enter the amount of bitcoin you want to invest.Please make sure you have the amount you have entered is available in your coinbase or blockchain wallet. 4.Click make deposit at the bottom of the page. 5.Now btclab will provide it's bitcoin address in order for you to send your deposit to them. Carefully copy the address they provided. 6.Now go to your coinbase account and click Send on the left hand panel. 7.Now paste the address btclab gave you into the receivers address box. 8.Enter the amount you entered at the btclab lab deposit page.Please make sure it's exactly the same. 9.OK now click send.And click confirm in the next page. 10.Your transaction will start processing.Normally it takes around 10-20mins for you deposit to appear. 11.After you're deposit has appeared in your btclab account you'll start earning 0.15% hourly,3.6% daily and 108% monthly on the amount you deposited forever. You can deposit bit by bit to increase your earnings.If you want to deposit again just revisit the how to fund your bitcoin wallet tutorial and follow this again. Mining bitcoin is a lot of patience.It's an investment.Don't expect to get rich overnight.The bigger you deposit the more you earn.It's a gambling activity that allows you to use $2 to get $100 instantly. That's how all the scamming sites start. When they first spring up, they are legit but with time after they have won the hearts of people they start messing up. They all use the ponzi system. So what's the most risk free way of mining bitcoin. They do have slushpool and stuff that are legit but its very difficult to mine bitcoins since it uses the GHZ of your machine and even with that you need constant access to internet and your machine has to have correct graphics. I did a little research on your site and as far as i know they are legit at the moment but mind how you invest in it. They do pay as they claim. I was working on a system that made me much bitcoins (100ghc equivalent) on a daily basis till i got greedy and messed it up. I lost over 2500ghc worth of bitcoins. I am currently playing with something. I will study it for a month. If it goes through successfully i will post it but for the mean time u can give yours a go. Ok man. Will be looking forward to it.